The vain search for Harold Ford’s principles. 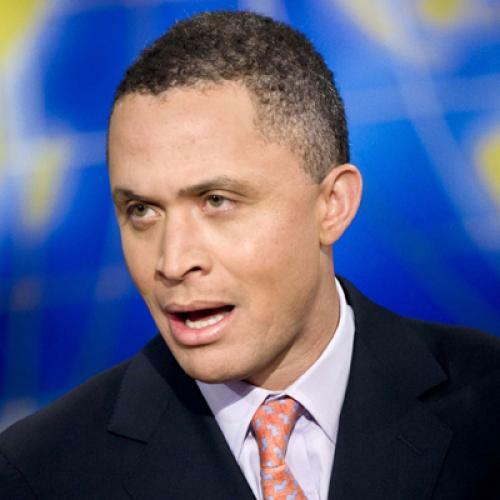 "Southern voters are interested in solutions,” said Harold Ford Jr. in 2003. “They can spot a fake.” Perhaps this explains Ford’s subsequent decision to decamp from the South in search of a more gullible electorate. Having lost a 2006 Senate race in Tennessee, Ford is now all but officially running in New York. His efforts to date offer a fascinating character study. All politicians, to varying degrees, have pliable beliefs that must bend and twist to mesh with political surroundings that change over time. Ford’s distinguishing trait is that his principles are not merely pliable but completely liquid--they have no form of their own, taking the shape of whatever surrounds them. Ford comes from a family that seems to regard politics as a lucrative profession. His father, a longtime member of Congress, was indicted (but acquitted) of bank fraud. One uncle was indicted for corruption, and another was convicted of insurance fraud. Harold Jr., groomed at elite institutions like St. Albans in Washington, always trod a more respectable path. After inheriting his father’s House seat in 1996, Ford cultivated a centrist profile to keep himself viable for statewide (or national) office. He endorsed constitutional amendments requiring an annual balanced budget, outlawing gay marriage and flag burning, and permitting organized classroom prayer in public schools. Shrewdly claiming a seat on the capital markets subcommittee of the Financial Services Committee, he raised copious sums from Wall Street executives, who, in turn, he favored by endorsing tax breaks for capital gains. Ford attracted a series of mostly favorable profiles in the national press, highlighting his charisma and centrist stands as a model for a new generation of Democrats. “Rigid ideology makes it easier to resist good ideas,” he declared. Ford now embraces gun control and gay marriage, the latter of which, until recently, he wanted to ban via constitutional amendment. After calling for sealing the border and attacking President Bush from the right on immigration in 2006, he now takes a liberal stance. What about the border fence he favored? “Even if we had a fence now, we are not going to stop it,” he told The New York Times, not explaining why he had supported such a futile gesture in the first place. Ford had so much difficulty explaining his intellectual evolution that, at one point, he gave an interview to the Daily News only, as the paper reported, “under the condition that the questions be limited to his rationale for running, and not issues.” (Southern voters may be interested in solutions, but, apparently, Northern voters aren’t.) None of this is to say, however, that Ford’s prospective candidacy lacks ideological content. He is running as the voice of Wall Street. The financial industry deeply resents the Obama administration and congressional Democrats who, after bailing them out to prevent a broader economic collapse, are attempting to impose regulations to prevent such a recurrence and demanding that the large banks pay back a portion of their subsidy. Casting about for a champion, Wall Street’s eyes turned to Ford. The Tennessee expatriate turned out to be the perfect man for the job. He already had a foothold in the city through his financial services committee connections, a $1.8 million East Hampton vacation home his father had purchased in 2003, and a lucrative part-time job at Merrill Lynch. Ford breakfasts regularly at the Regency and relaxes at upper-class redoubts like the Waverly Inn. “Ford started hearing about [the backlash] at cocktail parties,” reports Politico. [T]he response I have gotten is overwhelming, from different categories, the spectrum of political leaders, people involved in politics, people representing different social and income classes in the city, be it the cabdriver on the way down here, who had positive things to say, and wanted to take a picture with me before I got out of the taxi, to people who are business leaders and leaders in the entertainment industry and media industry based here. Truly, this is a trans-class coalition, ranging from rich businessmen to rich entertainment businessmen to rich media businessmen to cabdrivers--who, like all members of tip-based professions, are known for their frank assessments of their customers. Ford’s candidacy is an epiphenomenon of Wall Street’s retreat into a fantasy world. In this alternate reality, the titans of finance are innocent victims of a freakish accident, the Democrats’ struggles result from their hostility to these victims, and the people are clamoring for a leader who will openly cater to their demands. The notion that Democratic primary voters in New York will embrace Ford may be more fantastical than the wildest investment scheme that predated the crash. Harold--don’t call me. We’ll call you.